The popularity of influencer marketing is growing by leaps and bounds. In fact, 86% of marketers collaborated with influencers in 2017. This doesn’t come as a surprise considering the immense potential of influencer marketing. You can use it to cut through the noise and reach your potential customers without being overly promotional. 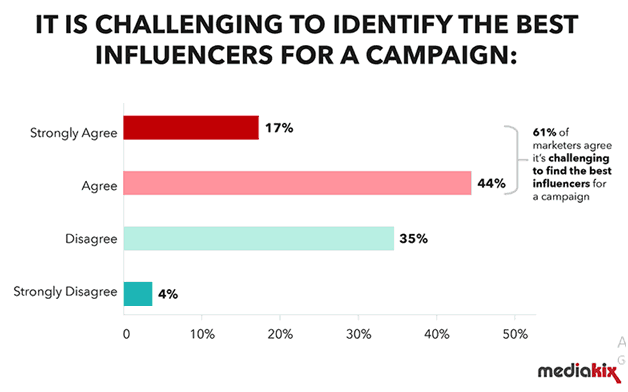 However, working with influencers comes with its own set of challenges. It requires a deep understanding of your target audience and thorough knowledge of your end goals. But the most critical aspect is finding the right influencers to collaborate with. Your choice of influencers will have a significant impact on the fate of your marketing campaign. It takes more than just a random Google search to find an influencer who is a perfect fit for your brand. Your goal should be to find an influencer whose vision and style resonates with your brand. That is why you need to invest a significant amount of time and resources for influencer targeting. Before we discuss influencer targeting in detail, let’s take a look at why there is such a fuss surrounding influencers. The term “influencer” has become quite a buzzword on social media. Everyone has been trying to decode and understand what transforms a regular social media user into an influencer. There are many myths and misconceptions surrounding the idea of influencers. Many people even confuse them with traditional celebrities who have millions of followers. Simply put, an influencer is someone with a massive and engaged social media following. They strive to build a personal connection with their followers. Unlike celebrities, social media influencers aren’t shrouded in an air of mystery. They often share intimate details of their lives with their fan communities, thus developing a friendly rapport with them. It is because of this strong bond that influencers succeed in winning the trust and loyalty of their followers. They are perceived as reliable industry experts and their fans often swear by their recommendations. In fact, 70% of millennials agree that they are more influenced by bloggers than by celebrities. It is worth noting that attracting a large number of social media followers doesn’t make someone an influencer. The true merit of an influencer lies in their ability to build and sustain an army of devoted followers. These followers regularly engage with the content published by their favorite influencer. They are also highly likely to consider purchasing products or services recommended by the influencer. The strong bond that influencers share with their followers gives them the power to persuade their fans to take action. 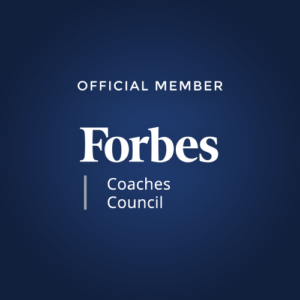 In fact, studies show that influencers are the most trusted and effective source of driving sales. As a marketer or business owner, you can use this to your advantage by influencing purchase decisions. It is an extremely useful tool for generating leads and driving conversions. In addition, influencer marketing is an extremely effective tool for boosting brand awareness and audience engagement. Working with an influencer strengthens your brand reputation and helps you earn the trust of your potential customers. The best part is that you don’t have to worry about targeting the right audience. All you have to do is collaborate with a relevant influencer. Collaborating with an influencer also gives a fresh perspective to your content strategy. In fact, a study by Linqia revealed that influencer-backed content largely outperforms branded content. This is because influencers have a deep understanding of their audience and know what kind of content will appeal to them. In addition, such content is perceived as more authentic and credible. Influencer marketing can also have a positive impact on your website’s search engine rankings. An influencer helps take your content to a wide audience that would have remained inaccessible through other means. This drives increased traffic to your website and helps you earn several high-quality backlinks. Influencer marketing campaigns can be instrumental in the growth and success of your business. It is an extremely effective tool for stirring up an online conversation about your brand and luring more people to your product/service. Now let’s dive deeper into the concept of influencer targeting. The success of your influencer marketing campaign depends on the influencers you are working with. They should be related to the niche in which you operate. 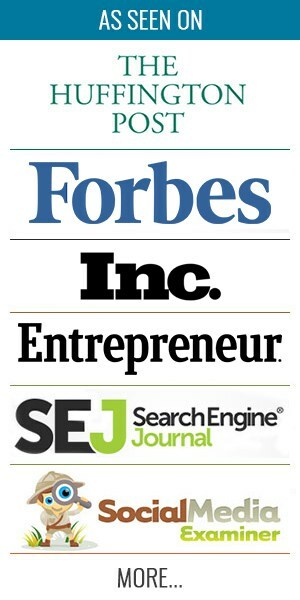 That will help ensure that your content/product finds traction among their audience. If you partner with an influencer outside your niche, their audience is less likely to engage with your brand. Let’s say you are the owner of a luxury fashion brand. The right influencers for you may include fashion and lifestyle bloggers, models, fashion photographers, etc. Their followers are likely to be interested in your range of products. On the other hand, collaborating with a travel or food blogger will not give you any positive results. Despite this, many marketers often fail to identify the right influencers for their campaigns. In fact, 61% of marketers feel that they struggle to find suitable influencers. If you want to execute a successful influencer marketing campaign, influencer targeting should be your top priority. Now let’s take a look at how to do it. Before you begin with influencer targeting, you should have a clear idea of your target audience. A thorough knowledge about their demographics, including age, gender, profession, etc. isn’t enough. You must have a deep understanding of their likes, preferences, and interests. This will help you identify the type of blogs, topics, trends, and social media accounts your audience is most likely to follow. Let’s say you own a fast food joint that is frequented by millennials. Your goal should be to find out if your target audience is following any food bloggers, chefs, and food photographers. Collaborating with such influencers will immediately put you in the forefront. On the other hand, collaborating with a fashion blogger may not be a good idea in this case. A fashion blogger’s followers are less likely to be a part of your target audience. Hence, their audience may not find any interest and relevance in your brand. Another factor that dictates your choice of influencers is the end objective of your influencer marketing campaign. This is a very important part of influencer targeting. Do you want to drive more traffic to your website? Do you want to increase your social media followers? Perhaps you want to attract potential customers to your product and drive conversions? Your answer to these questions will determine the type of influencer you collaborate with. It is common practice in sales and marketing to create a customer persona. It outlines the traits and characteristics of the ideal customer for your brand. Likewise, influencer targeting requires you to create an influencer profile. Think of it as an image of the ideal influencer for your brand. Depending on their style and vision, influencers can be categorized into different personalities such as activist, informer, authority, etc. It is your responsibility to figure out the type of influencer you need in order to fulfill the ultimate objective of your campaign. This is one of the most crucial aspects of influencer targeting. The niche in which an influencer operates, defines their target audience. You should collaborate with an influencer who is active in the same (or at least, similar) niche as yours. It is not mandatory that you stick to a single niche. Depending on your product or service, you can work with influencer across multiple niches. However, you must ensure that each niche is relevant to your brand. An influencer may not be equally active across various social media platforms. Therefore, it is important to identify the social media platforms where your target audience is most active. You should partner with an influencer on the same platform. Let’s say your audience consists of Instagram and YouTube-savvy millennials. In such a scenario, it won’t be a wise idea to partner with an influencer who is active only on LinkedIn and Twitter. As discussed earlier, defining your end goals is crucial for influencer targeting. Based on your goals, you may want to invite a blogger to publish their content on your website. Or you may collaborate with a lifestyle influencer to announce an Instagram giveaway. The next step of influencer targeting is to outline a list of topics that you want your influencer to talk about. These could be topics related to your product/service or other pertinent issues in your industry. You can use them to approach relevant influencers and start a conversation with them. It is a clever idea to scout for influencers who are vocal about similar topics in the online world. You influencer persona will give you the ideal version of an influencer who is the perfect fit for your brand. However, it is not sufficient on its own. Once you have defined your ideal influencer, it is time to take influencer targeting to the next step. It goes without saying that the influencer you choose to collaborate with should have a significantly high reach. You should look for relevant influencers who have a large number of social media followers. A higher reach is an indication of a large audience. Therefore, an influencer with a massive reach will be able to give increased exposure to your brand and content. In addition to a large reach, it is also crucial to ensure that an influencer is a contextual fit for your brand. Firstly, they should be operational in the same niche as your product or service. In addition, their public image and content style should be in sync with your brand image. Lastly, they should share the same beliefs and values that you wish to project in your brand’s vision. A wide reach may not be of much use if an influencer can’t get their audience to take the desired action. The actionability of an influencer is largely dependent on how loyal and engaged their followers are. You should closely monitor the engagement levels (likes, comments, tags, etc.) on an influencer’s post. If the followers regularly engage with an influencer’s content, they are likely to pay attention when an influencer talks about your brand. The influencer shouldn’t have to explicitly ask them to buy your product or avail your service. Just a little nudge in the form of a positive product review should be able to do the trick. By now, you should have a fair idea about what kind of influencer will be the perfect fit for your brand. You have defined their ideal personality, niche, and traits. However, influencer targeting doesn’t stop there. The next step of influencer targeting is to find real-life influencers who fit the profile you have just created. Social media offers a treasure trove of information about the right influencers for your brand. Look for social media mentions and blog posts related to your brand. It is likely that such mentions and tags are coming from influencers who are already talking about your brand. This makes influencer targeting easier by bringing you closer to your brand advocates. There might be instances where an influencer has been writing in your niche without mentioning your brand. You can always reach out to them with a proposal for collaboration. 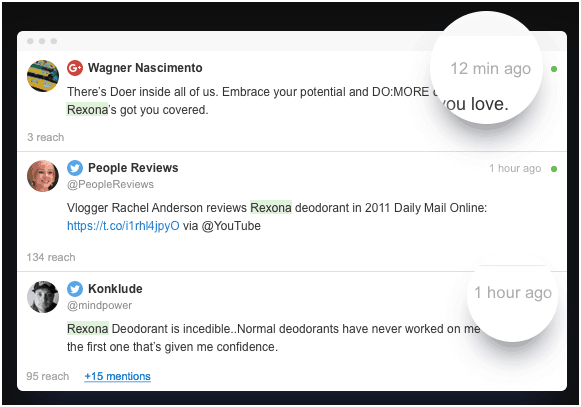 You can use influencer marketing tools to keep track of all your social media mentions. For instance, Awario collates data from different social media platforms and displays every post that includes your brand name. Hashtags are one of the most important tools for influencer targeting. The first step is to identify the most popular and relevant hashtags for your brand. In addition, you should look for hashtags that are related to your industry/niche and products/services. You can use tools such as Hashtagify to analyze individual hashtags. It will give you detailed insights about the popularity of a hashtag and other hashtags related to it. Once you have picked the most suitable hashtags, follow them closely on different social media platforms. You will be able to identify the users who post actively using those hashtags. One look at their profile will give you an idea of their reach, relevance, and other parameters. Google Alerts may not be the most obvious choice for influencer targeting. However, the feature allows you to set alerts for different keywords related to your brand and niche. 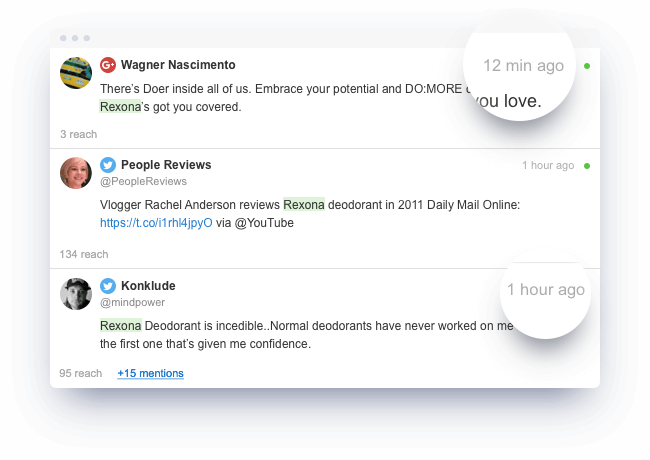 You get a notification every time any one of your keywords is mentioned. This allows you to identify bloggers and influencers who are actively writing about your brand or other related topics. Bloggers can be a huge blessing for your influencer targeting strategy. The biggest advantage of blogger influencers is that they may have a wide audience on their blog as well as on their social media profiles. Thus, collaborating with relevant bloggers can benefit your brand in more ways than one. An easy way to find popular and relevant bloggers is to search for blogs in your niche. Take a look at the topics they are writing about. In addition, you should analyze their website to get an idea of their traffic and domain authority. Likewise, evaluate their social media profiles to check their reach and engagement on these platforms. Once you have spotted an influencer you would like to collaborate with, it is time for the next step of influencer targeting. In this step, you have to reach out to an influencer with a mutually beneficial proposal. It is crucial to understand that influencers are avid content creators. Therefore, you should encourage them to develop and publish high-quality and user-centric content related to your brand. At the same time, you should offer some kind of incentive/compensation to motivate them. Influencers make a living by creating engaging content for their followers. It is recommended that you collaborate with influencers who are passionate about your brand and your products/services. Otherwise, you influencer targeting efforts may not yield any results. You can send them a gift basket of your latest products and encourage them to share their honest experience. You can also invite them to take over your social media profile and post on your behalf. Live podcasts, interviews, and guest posts with influencers can also bring traction to your content. It should be kept in mind that many of your customers have the potential to become influencers in their own networks. All they need is a slight push from your side that motivates them to talk about your brand. You could give them a chance to win a free trial of your service if they write about your brand. You can also encourage them to upload their own photos or videos featuring their brand. Make it a contest and invite entries from various clients. Publish the best pictures and content on your social media profile with a shout out to the winner. 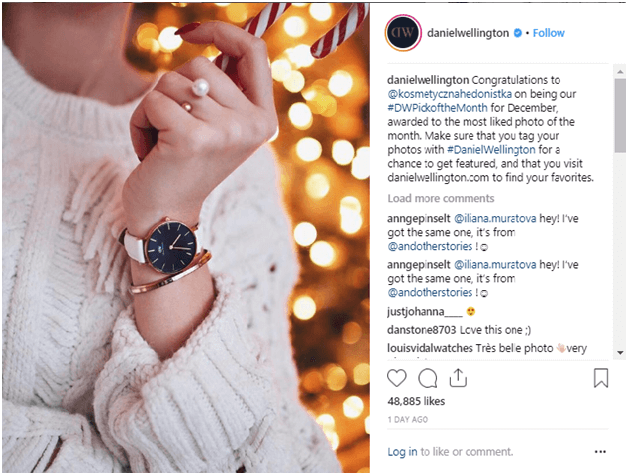 This strategy has been used by Daniel Wellington to become one of Europe’s fastest growing companies. The luxury watch brand runs an Instagram post named #DWPickoftheMonth. This gives them access to a goldmine of user-generated content that can be used to keep their Instagram feed fresh. At the same time, these posts act as testimonials from real-life users. One of the most challenging aspects of influencer targeting is deciding the most appropriate compensation for an influencer. You can’t expect an influencer to talk about your brand without giving them something in return. This is a mutually beneficial arrangement in which you mention the influencer on your social media profiles. You can thank them for featuring your brand on their feed/blog. This widens the influencer’s exposure by luring your audience towards them. It is ideal for influencer targeting when you can’t dedicate a substantial budget for this purpose. It is a straightforward arrangement in which an influencer is offered a fixed sum in exchange for their services. This may act as a deterrent for some marketers as it tends to defy the very basis of influencer targeting. However, adding a disclosure such as “sponsored” or “in partnership with” lends transparency to the content and makes the audience more receptive. You can gift a free sample of your product or a free trial of your services in exchange for an authentic review. Such a review is far more credible and trustworthy than a brand tooting its own horn. Lastly, you can offer a specific share of your revenue to an influencer for every conversion driven by them. This is especially useful when your goal is to generate leads and increase sales through influencer targeting. Influencer targeting isn’t just about collaborating with an influencer for a one-time project. Instead, you should strive to forge a long-term association with relevant influencers and turn them into loyal brand evangelists. This saves you the trouble of going through influencer targeting all over again for your next campaign. Stay up-to-date with the latest developments on their social media profiles. Engage with their content and share it in your own networks. This helps you build a strong rapport with them; it might come in handy for future collaborations. Influencer marketing isn’t just about partnering with an influencer for a sponsored one-time project. Influencer targeting takes this up a notch by helping you identify the most suitable influencers for your brand. This is crucial if you wish to generate buzz about your brand and convert influencers into brand advocates. Ultimately, it will contribute to the growth of your business by increasing brand awareness and driving conversions. Have you used influencer targeting in your marketing campaigns? Share your views in the comments section below.